Maintaining your washing machine keeps it running smoothly and odor-free. 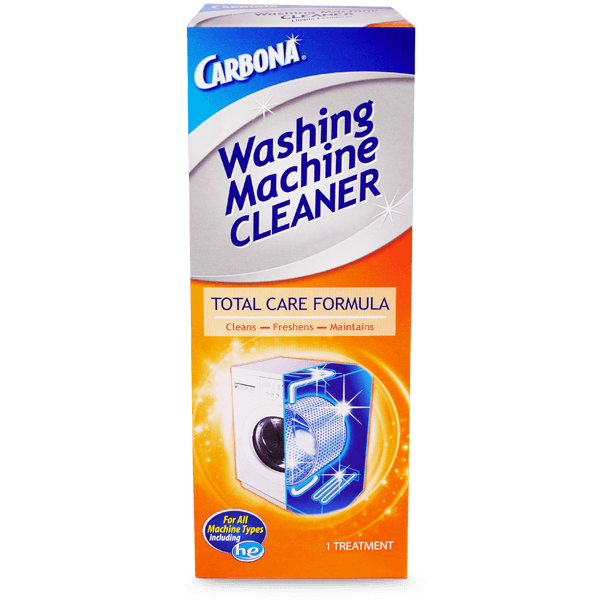 Clean it once a month with Carbona Washing Machine Cleaner Total Care. We recommend using Washing Machine Cleaner Total Care Formula once a month, but also when you have not used your washing machine for a long period of time. Washing Machine Cleaner Total Care Formula works in standard and high efficiency machines. 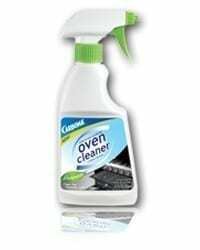 Pour a small amount of Washing Machine Cleaner Total Care Formula onto a clean cloth and wipe the rubber seal around the door, rinse thoroughly with a damp cloth. Please do not ever stop making this product. I came across it by accident yesterday at Pathmark in Port Jefferson Sta, NY. I first picked up the Tide washing machine cleaner which I have used before with disappointment but thought I had no choice. 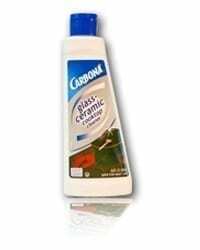 A few spots over I happened to see the Carbona Washing Machine Cleaner. Much cheaper than the Tide so I thought I would try it. Oh boy was I impressed. I have a front load and it smells awful most of the time. I had to use 3 packets of the Tide to even clean it just a little bit. My washing machine after Carbona, smells clean and fresh and my clothes smell good again, not musky and dirty. I LOVE YOUR PRODUCT and the price is so reasonable. Even though the Tide comes with 3 packets, yours is a better value because I only have to use it once. The Tide, I had to use all 3 and the washing machine still was not clean. As a matter of fact, it smelled worse after the 1st wash which is why I used a second packet then used the 3rd, one after the other. Please don’t stop making this product. Manufacturers always do that. A product is wonderful, then they discontinue it. I would have never known it existed if not by accident. I never saw it anywhere else. You should advertise it. Magazines, at least. Magazines that moms read. Might reach more women than tv. Moms don’t have time to watch tv. Thank you, thank you for a great product. I just tried you washing machine cleaner and wanted to let you know how much I liked it. I found a coupon in my Sunday paper and decided to give it a try. I was glad to see the value for the money. Compared to expensive Tide it won me over. I was glad that I could clean the tray and wipe the gasket (I think you can’t do that with the Tide). My washer now smells great and feels cleaner (Didn’t completely get gasket clean, but I didn’t expect it to). I will definetely recommend to friends and buy again. I also noticed on your website that there are other products available. I was wondering if there are any coupons out there for them as I would like to try as well. I bought this on a whim. To be honest, it never occurred to me that I could buy something like this to clean my front loader. I knew my machine needed it. I had wiped it down but never really cleaned it in the 7 years I have owned it. 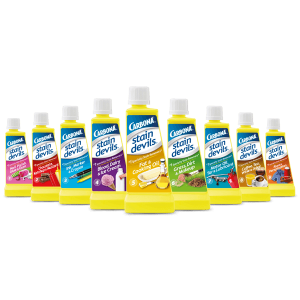 This product was easy to use and worked as stated. I soaked my detergent draw and couldn’t believe how easy it was to wipe clean. I haven’t used anything else to compare this to but have no complaints about this and would use it again. We recently bought a used/refurbished Electrolux front-load washer and dryer and the washing machine smelled musty. I went to the store to find something to clean the washer and stumbled upon this. 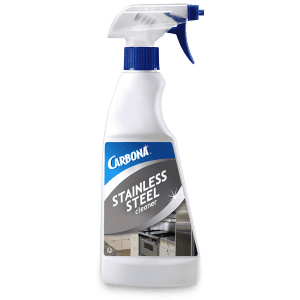 I’ve used Carbona carpet cleaner before and I love it, so I thought – why not…I couldn’t believe how well it worked! I just finished using it and opened my washer and no more musty smell – AND – it’s sparkling clean. I liked it so much I had to come to your website and review it! It was an affordable solution that worked so well — thank you! !